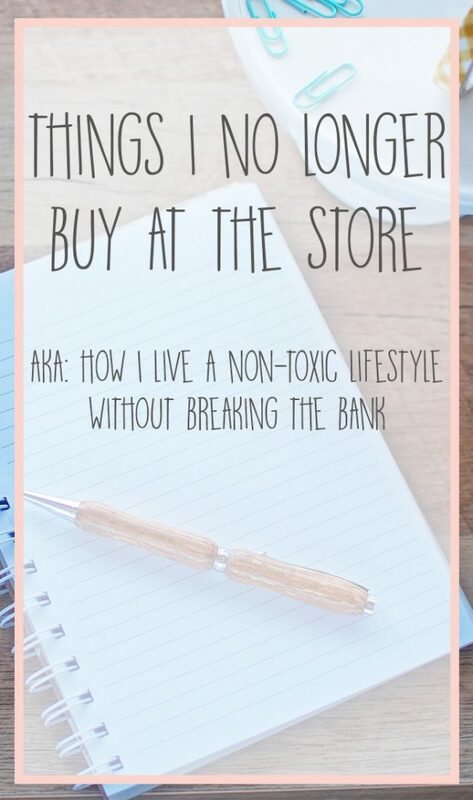 Over the last 5 years, I have really been making an effort to live a more non-toxic life. It started as a concern over the environment, and what we we disposing from our homes. 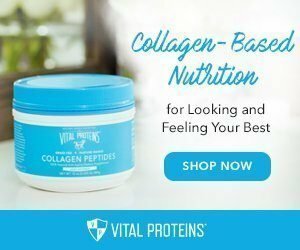 As my oldest developed skin problems, though, we started questioning everything we put on our bodies. As with most things in life, this is always an ongoing process. We didn’t wake up one morning and decide we were going to live a toxin-free life. Instead, we started questioning and replacing products, one by one. After 5 years, we’ve built up quite a list of items we either do without, or have found greener alternatives for. When I first realized how many products we needed to eliminate, I was pretty overwhelmed. It was going to require a total overhaul! All I could see were dollar signs, and it stressed me out. Still, my convictions were pretty strong (they usually are when kids get involved), so I dove in and started making changes. Over time, my goals have changed, and my list has grown. It’s still growing today as I learn new things and find safer alternatives! This is a list of things that I no longer buy in the store. I’ll write our alternative solution next to it so that you have a place to start if you want to eliminate it as well. Napkins: I grew up using napkins at every single meal. When I moved into my own house, it was only natural that I continued buying and using them at meal times. I hated all of the waste we were creating, though, and so one day I decided to stop buying them. Since we still need something for our hands and face while we eat, we instead use baby washcloths. They’re about the same size, softer, and extemely affordable! Paper Towels: Another thing I grew up using for everything. We used paper towels for everything. We even used them to dry our hands and dishes. If you’ve never stopped to think about it, that’s a lot of paper waste! I’ll admit we still keep a roll on hand for pet messes, but in general, we use dish towels or wash rags for all of our cleaning and drying needs now. Microwave Popcorn: I love popcorn, and always have. It’s my go-to snack and I always make sure to have it on hand. Those microwave bags are terrible for you, though, so we stopped buying them. Instead, we have a $20 air popper (like this one) and buy organic popcorn kernels from the store. You can save so much money this way, plus, you can customize your toppings! My newest addiction is coconut oil spray, salt, and nutritional yeast. Seasoning Blends: I used to season all of my food using some sort of pre-packaged seasoning blend. Ranch seasoning, onion soup mix, taco seasoning, cajun seasoning, etc. Over the years, I’ve stopped buying them and learned to make them myself. My go-to these days is a simple sea salt, pepper, onion powder, garlic powder, and a dash of cayenne! Gravy Mixes, Cream Based Soups, and Broths: My mom used these a lot, and so that’s how I learned to cook. As my daughter’s food allergies came to light, I had to start learning to make my own. It’s really much easier than I ever realized. All-Purpose Cleaner: When I go somewhere and have to clean with any of my old go-to’s, I get a headache, my throat burns, and my asthma flairs up. I never realized what those cleaners were doing to my body until I got rid of them! 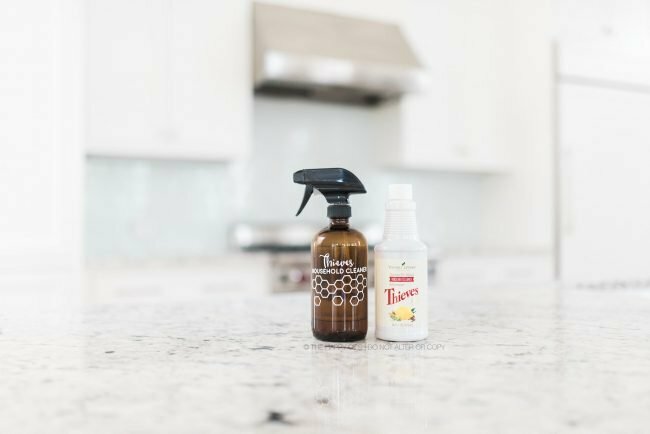 My all-purpose cleaner now is Thieves Household Cleaner from Young Living. It’s plant-based, infused with essential oils, comes out to about $2/bottle, and smells amazing. Plus, it’s truly effective! You can read more about why I love Thieves cleaner here. Tub Scrub: I just use a combination of Thieves Household Cleaner and baking soda. It gets my tub sparkling clean and I don’t even have to open a window or use a fan to keep from passing out. Bonus: I can enlist the help of my kids, and who doesn’t want a little extra help scrubbing the bathroom?? Toilet Cleaner: Again, all I use is Thieves Household Cleaner. I combine it with some baking soda and hydrogen peroxide and let it sit for about 10 minutes. Mop Solution: I have a Shark Steam Mop, so really, I don’t need any sort of solution. Dryer Sheets: Mamas, hear me. If you don’t swap out any other product in your home, toss those dryer sheets. They’re full of so many harmful chemicals, and honestly, they’re so easy and cheap to replace! You can grab a 6 pack of organic wool dryer balls on Amazon for a really great price that will do the trick just fine. If you miss the smell, you can also add a few drops of your favorite essential oils directly to the balls and it’ll transfer! 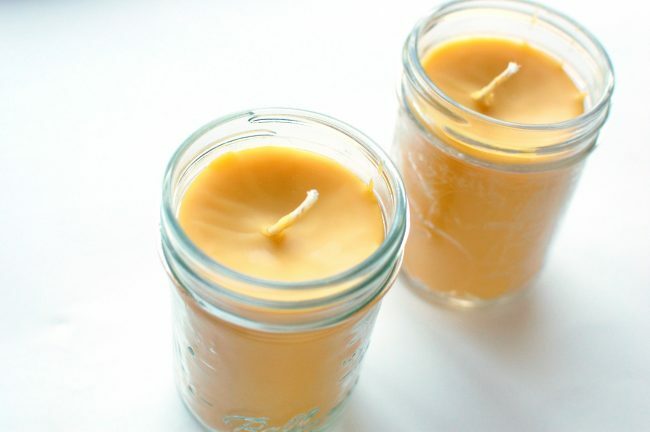 I love using lemongrass, purification, or citrus fresh on mine. Fabric Softener: I just don’t buy any. It’s loaded with fragrance and not worth it. If you have a hard time making the switch, you can try adding a splash of white distilled vinegar to your wash.
Stain Remover: My favorite cleaning hack ever. Kids are gross and messy, and sometimes I don’t catch their stained clothes before they set. No worries, though. I just take my bottle of pre-mixed Thieves cleaner and spray it directly on the stains. Let it sit for awhile and then toss it in the normal wash. For extra set-in stains, you can mix a little baking soda and Thieves cleaner together to make a paste. Carpet Cleaner: Again, Thieves cleaner always does the trick on any stain! Air Freshener: I’m really sensitive to smells. Think “pregnancy nose” but all the time. So, having a house that smells clean is just as important to me as having a home that is clean. Instead, I keep a diffuser in every room and keep oils diffusing regularly to purify the air. Shampoo: I love the Young Living shampoos! They’re incredibly concentrated, so I can usually get about 3 bottles of shampoo out of one. The lavender mint shampoo is my favorite, but my husband loves the vanilla copaiba. Conditioner: I do an apple cider vinegar rinse on my hair after washing it. My hair has never been healthier! Bodywash: Young Living has a shower gel base that I love! I can add my own essential oils and make a customized body wash. Toothpaste: We love the Thieves Dentradome toothpaste! It’s flouride free and has a fresh, minty flavor. My teeth have never felt so clean. Kids Soap & Shampoo: Instead of buying all of the toxic, fragrance filled kids products at the store, we opt for the Young Living Kidscents line. They have shampoo, body wash, and toothpaste that my kids love! Hand Soap: This foaming handsoap recipe is all we use now! Face Wash: I’ve started oil cleansing and my face has never looked better! Toner and Moisturizer: I love the products in Young Living’s ART skincare line. I get their toner and moisturizer daily! Makeup: This was one of my more recent areas to overhaul. The idea of switching to all natural makeup overwhelmed me! There are so many toxic ingredients in conventional makeup, though, so I knew I had to. 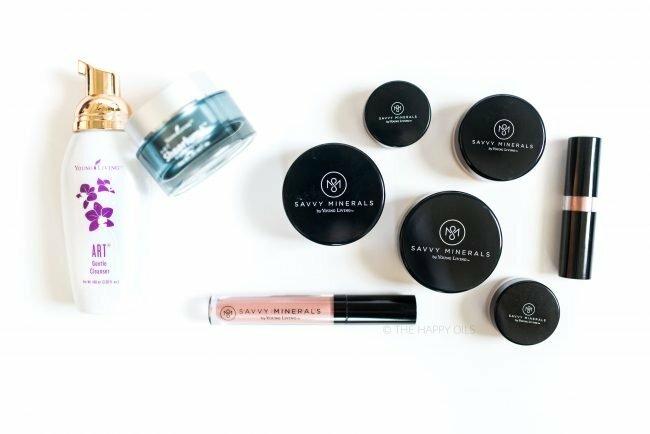 Young Living made that easy as well when they came out with their Savvy Minerals makeup line. It’s the cleanest makeup I’ve found and it goes on beautifully! Hairspray: My newest all-natural purchase was a sugar based hair spray that my hair stylist showed me! It’s from oWay Oranics and works so well. Plus, it smells amazing. Deodorant: My favorite for almost a year has been Young Living’s Meadowmist deodorant! I’m sure I’m forgetting a lot of things on this list, because so many of them are second nature to us now. Like I said before, this list didn’t happen overnight. 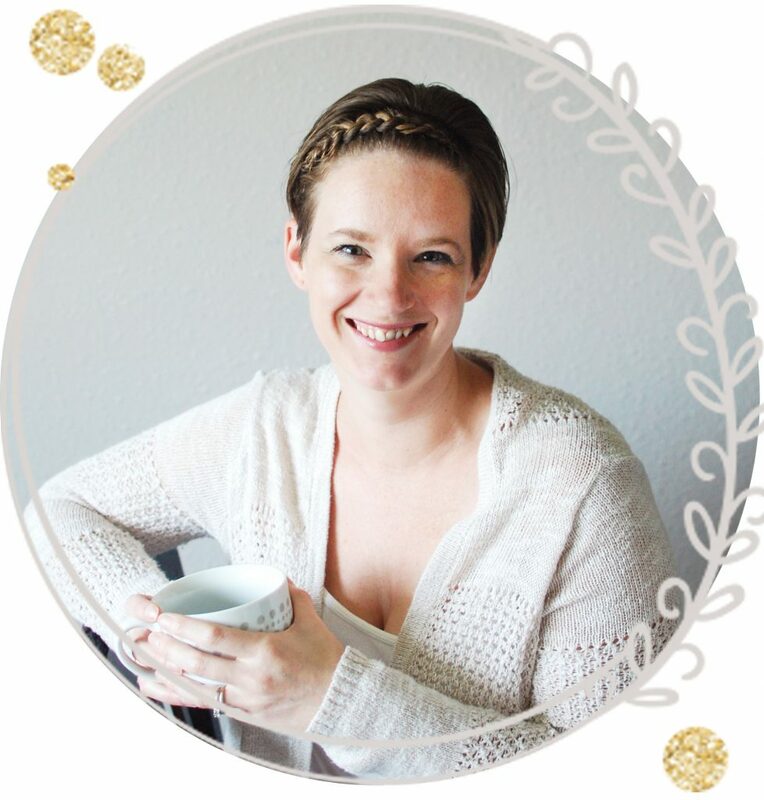 We gradually swapped out products as we found more natural solutions, and the process has taken years. It’s been drastically sped up and simplified since becoming a Young Living member, though. I was so hesitant to become a member when I first started, but it has more than paid for itself over the last year! It has definitely made my non-toxic living journey a lot easier. I forgot to mention: When I first got started, I didn’t know the first thing about what ingredients to look out for in my products. I just knew that the conventional choices were bad. Because of this, I was the victim of greenwashing several times. We can’t take things at face value anymore. We can’t just assume that because a company boasts about being natural or using essential oils that it means they’re actually safe. The only way to truly know that a product is safe is to read the ingredients. 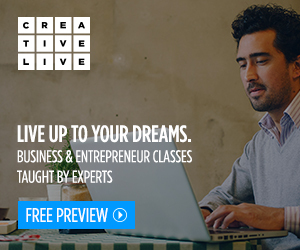 Don’t know what to avoid? No worries! I put together a super handy list to help you get started. You can get your own copy from my resource library by signing up for my newsletter right here! such an awesome list! And so many of these we use also!